Broadening participation in computing is a core part of Microsoft’s values; accordingly, we are excited to continue the Microsoft Research Dissertation Grant that aims to recognize, support, and mentor diverse doctoral students as they complete their dissertation research in computing-related fields. 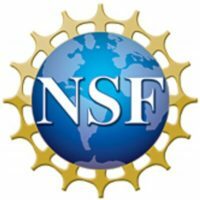 This grant program is open to doctoral students in their fourth year or beyond, studying computing topics at universities in the United States and Canada, who are from underrepresented groups (women, African-American/Black, Latino, American Indian/Alaskan Native, Native Hawaiian/Pacific Islander, and/or people with disabilities). The program allows students to apply for a research grant of up to $25,000 to support their dissertation research; grant recipients will also get to take part in a two-day career workshop at Microsoft Research Redmond this autumn. Grant applications for 2018 will be due on March 30. You can read more about the Microsoft Research Dissertation Grant and find application instructions at http://aka.ms/msrgrant. As you check out today’s blog announcement, you may also consider sharing the news on Twitter and Facebook. We hope that you will share information about this program with members of your organization who may be eligible to apply! NSF CISE CAREER Proposal Writing Workshop Thank You, Data Buddies!